Find the "Community" Tab on the Home page and click it. Simply select the content you would like to download and hit the Download button. 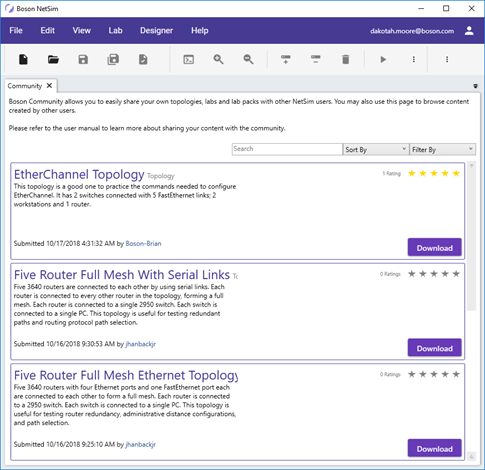 You can search other creator’s work for specific topics; rate in on a scale of 1 to 5; sort by the latest, most rated, or highest average review; or filter by content type. The NetSim Community is the quickest way to get additional free study material at your fingertips, and since users are constantly uploading new files to the database, you never know what you might find! 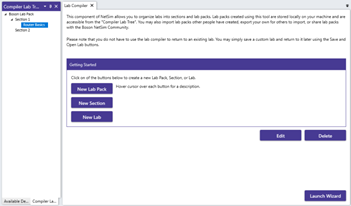 First create your content using either NetSim’s Lab Compiler or Network Designer. Then navigate the Compiler/Designer Menus and find the Share option. 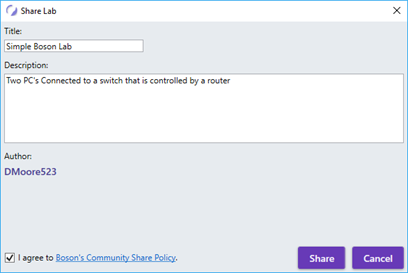 Write a Simple title and description to help your fellow NetSim users identify your lab and click share. 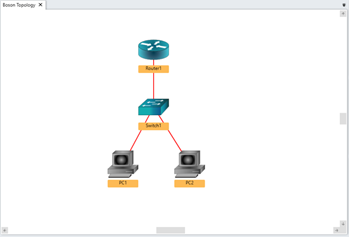 Once approved by a moderator, your lab will be available to everyone with NetSim 12. It’s that easy!